is a question that I field often about my Twitter habits. The truth is, I don’t.В This article will show you 4 ways to fight your Twitter FOMO (Fear of Missing Out). I have to consciously make time to check my feed. 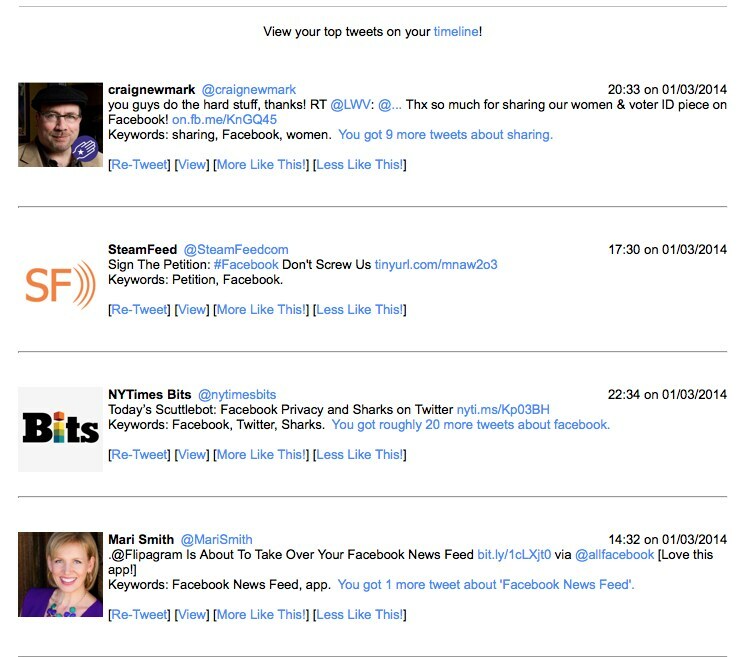 This post covers 3 services that help you receive tailored updates from your Twitter feed based on your interests and personal network activity. I’ll always have a love or Twitter because it is how I connect with, learn about and discover social media trends and consume breaking news.В Here are a few unorthodox places I check my Twitter feed. Telling people I check my feed on the toilet gets a good…”that could be dangerous” response, but it’s also good for a laugh. Now onto the 3 ways you can beat your FOMO on Twitter. 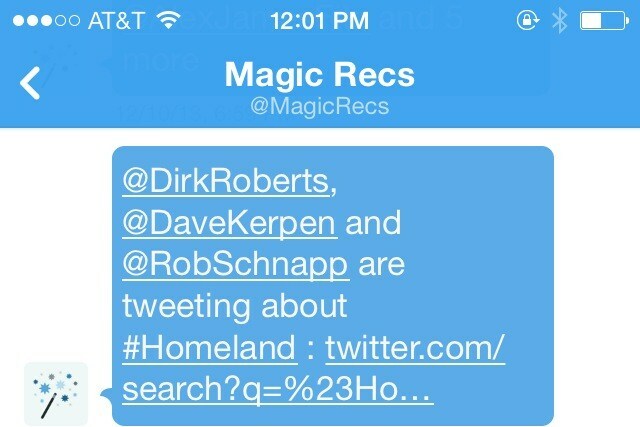 In September 2013, Twitter announced it would be rolling out MagicRecs to more users after it’s initial experiment. 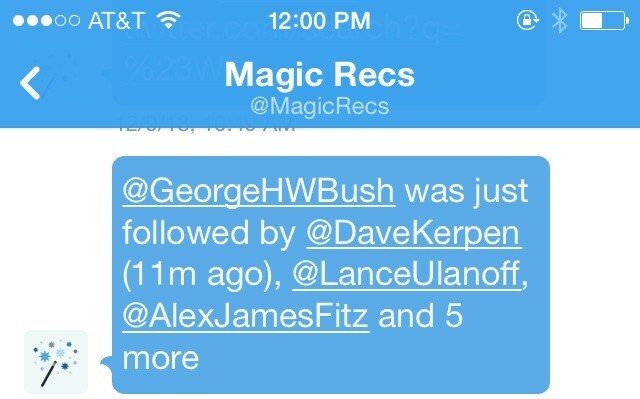 MagicRecs sends you notifications/alerts when multiple people in your network start following someone. It has come in handy for me when someone popular or famous joins Twitter.В This is how I found out that George W. Bush and Cameron Diaz joined the social network. How do I sign up for Magic Recs? It’s super easy, all you have to do is followВ @MagicRecsВ on Twitter. You’ll soon start to receive your alerts. I eluded earlier to why I love Twitter, but Twitter’s Event Parrot makes Twitter EVEN better. 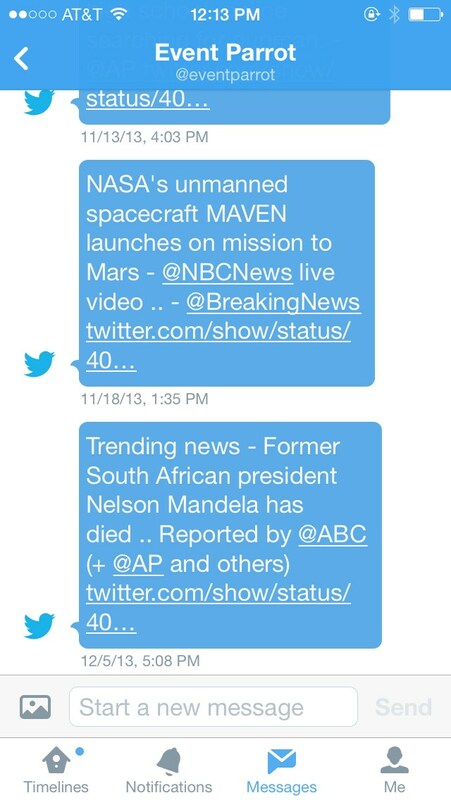 Event Parrot alerts/sends you Direct Messages to alert you of breaking news. This is also a Twitter experiment very similar to MagicRecs. How do I sign up for Event Parrot? This one is super easy too! All you have to do is follow EventParrot on Twitter. How do I sign up for Tweet Qureet? 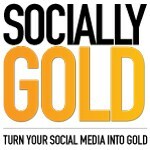 This service varies from the other two as you’ll need to connect your Twitter account to sign up. Go to qureet.com to connect and start receiving your tailored daily emails. Totally worth it if you find yourself not having enough time or a FOMO on hot topics. Twitter feeds move so quickly that there is a good change you’ll miss out on something. Tweet Qureet has been a good tool to stay up to date. Did you enjoy this article? Please share it with your friends, colleagues, family, neighbors or anyone really. It would really help me out.